An old box that came with thirty plastic models. 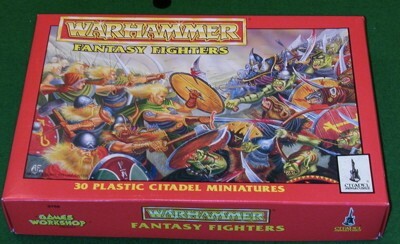 These were among the first plastic models made by Games Workshop. You can see what a painted and unpainted Ork looked like elsewhere in this gallery.